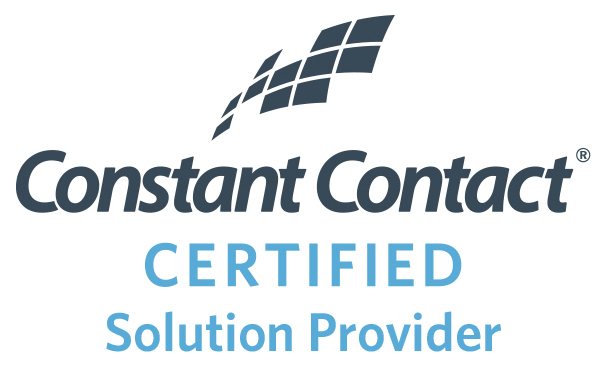 Alice Buchman and Chuck Holder have been named a Certified Solution Provider by Constant Contact, an Endurance International Group company and leader in email marketing solutions. As Certified Solution Providers, Alice and Chuck have demonstrated in-depth knowledge of the Constant Contact email marketing platform and best practices. This ensures participants can easily create more engaging, customized emails that will help grow their clients’ businesses. As Solution Providers, Alice and Chuck will offer training seminars on best practices in online marketing in the Southeastern Pennsylvania area. Constant Contact Solution Providers are dedicated to educating small businesses, nonprofits, and organizations on how to make their marketing efforts as effective as possible. These experts are authorized by Constant Contact to deliver seminars because of their proven expertise, passion, and commitment to helping small businesses and nonprofits in their local community. Alice and Chuck will host free seminars and training workshops in the Southeastern Pennsylvania area focused on using marketing strategies to find new prospects, engage key audiences, drive dialogue, and build relationships. These strategies include a framework that shows how different marketing campaign types all fit together, to deeper dives into the specific campaigns and tactics: newsletters and announcements, offers and promotions, online listings, events and registrations, feedback and mobile. Constant Contact, an Endurance International Group company and a leader in email marketing for more than 20 years, provides hundreds of thousands of small businesses around the world with the online marketing tools, resources, and personalized coaching they need to grow their business. Endurance International Group Holdings, Inc. (em)Powers millions of small businesses worldwide with products and technology to enhance their online web presence, email marketing, mobile business solutions and more. The Endurance family of brands includes: Constant Contact, Bluehost, HostGator, Domain.com and SiteBuilder, among others. Headquartered in Burlington, Massachusetts, Endurance employs over 3,600 people across the United States, Brazil, India and the Netherlands. For more information, visit: www.endurance.com. Endurance International Group and the compass logo are trademarks of The Endurance International Group, Inc. Constant Contact, the Constant Contact logo and other brand names of Endurance International Group are trademarks of The Endurance International Group, Inc. or its subsidiaries.